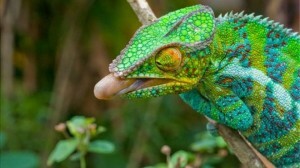 Secure passwords can be an eggshell platform as some hackers ware the chameleon hat of all colors . OnLine security what dose it really mean ? Could we possibly be being lead onto an eggshell platform or is there more to it ? 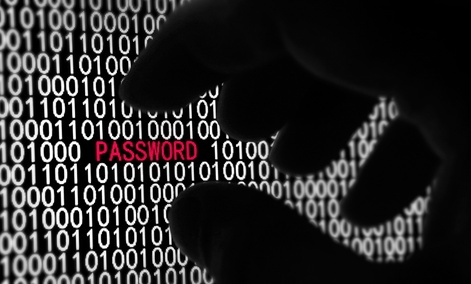 There is one thing for sure in the midst of OnLine security there is more than one fold . Some may be thinking well I have no reason to consider security because I only own one device or I am not a business man or women and I grab every security update . Well maybe this is true or maybe it is not in any event in the currant state of things it appears the eggshell platform of security is the best we can hope for . Back in the day most worried about a virus and many systems became infected until there virus scanner was updated to remove such a variant . Here is what the common person did not know about and some may still not know about today . Hacking , Hackers are a diverse group of people as well as the term meaning different things to different groups of said people . Hacking was once a hidden term mumbled by only a few but now each one priding and wearing duel hats ( red hat , white hat , black hat ) and some the shades of the chameleon . Other things but not limited to are WEB CRAWLERS and PLUGINS as well as EMBEDDING techniques . As well the term PROGRAMMING and BACK-DOORS the common person was not aware of but now that our society as a whole has advanced these things are at the forefront . The first fold deals with the common person with no business notations deemed of a technical value just maybe using Facebook or Google+ or just plain out searching the web . The bases of our current on-line ecosystem is to stay connected at all times receiving this notification or that and for the most part works very well . But the issue in this fold basically lies in you yes I said ( YOU ) your behaviors while searching and how much you have rolled up in your basket of eggs . A list of eggs you may use but not limited to . 1 ) Being connected all the time ( easy access having web pages remember you and your password or never logging off ) . 2 ) Having wallets for easy pay ( all credit cards debit and other things in order for easy payment ) . 3 ) APP ( APPS in general associated with the above items could cause all eggs to crack ) . Being secure online is a must . Especially if you run a business but keep in mind all companies run there own spying to keep up with competition . It is no doubt if you run a business online whether it is just a website or your affiliated with a company that has customer based information or sensitive DATA . 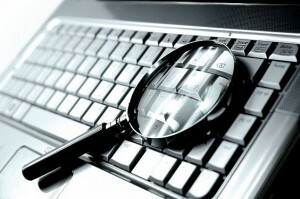 There is a competitor and each competitor has there own spy / espionage team in order to try and stay ahead of the game . Even with in our government and state spying is constantly going on undermining our own judicial systems . Many are leaning towards better password protections as well as encryption but with the whole essence of being in a WI/FI atmosphere will it be enough ? While using WI/FI we basically through a signal ( Frequency ) into the air and while it is in the air pretty much anyone can grasp a hold of it . Sure enough there are key-loggers that can record every stroke of the key board but most often than not hacks are implemented threw back-doors or other scanning techniques . These scanning Techniques were used by YAHOO while in transit and supposedly the newer encryption will not allow such techniques of mid air scanning to take place while in transit . None the less most seem to blame password security and verification questions to be the issue . To see this point please see the following article straight out of the archives of wired I give you SECURITY QUESTIONS ANSWERS AND LIES . There are others whom have discovered new ways to incur better passwords by using body signals . Please see the following article straight out of the archives of theallinead I give you USE YOUR BODY NOT WI/FI TO TRANSMIT SECURE PASSWORD . Security as a whole is not just one countries issue it runs deep within the global atmosphere . Russia as of late has chosen to eliminate Microsoft and encourage Russian local companies to develop similar products . This move could be construed as a security move as well as an economic one for Russia . Straight out of the archives of engadget I give you MOSCOW DROPS MICROSOFT . Sure enough we can not forget MALWARE and REDIRECTS these techniques can be used as a pure ha ha ( laugh ) or to try to promote business either way disgraceful . Sooner or later the people that use this type of Technique as an SEO value threw TYPOSQUATTING will fall flat on there face and dishonor to the companies they serve . Sure enough good passwords are needed to be secure as well as verification polices but as long as back-doors are kept in place passwords are a false sense of security . It is my belief that most hacks are implemented through back-doors or piggy backing threw scanning techniques malware and redirects . Once you find a security breach whether on a server or website and remove such a threat all passwords should be changed it is hard to determine how far a hacker has went . Even though it appears certain sections are not effected he or she could be hiding within these other areas for a future access attacks . I hope you have enjoyed this article have a nice day riding the wave of SECURE SAFE ON-LINE SECURITY I am out .